On August. 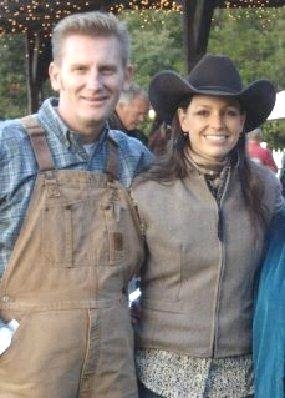 17, I listened to Album # 2, the new album by Joey + Rory. I have been listening to it ever since. It’s such a great album, and it will be available for purchase tomorrow. I put up a review of the album, and if you missed that, you can read it here. In the mean time, I have one copy of the CD to give away, and all you have to do to win is sent me an e-mail, before Sept. 20., telling me why you would like to win this new Joey+Rory CD. One winner will be selected, and the CD will be mailed off to you. You must enter before Monday, Sept. 20 — because we’ll have another contest starting that day! If you all like country music, you are going to love this CD. Just send me an e-mail, let me know why you would like to win the CD, and you’ll be entered! Short post – very busy day – I’ll talk to all of you real soon! “Chris Young Losing Sleep 2018 World Tour” opening weekend SOLD OUT! Pingback: countryschatter.com » Blog Archive » Still time to enter to win new CDs by Zac Brown Band & Randy Houser!